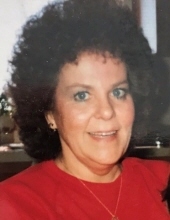 Barbara Skay Ostling, 82, formerly of Iowa City, died Tuesday, March 19, 2019 in Bondurant following an extended illness. Graveside Services will be Friday, March 22 at 3 PM at St. Joseph Cemetery. Visitation will be from 1:30 to 2:30 PM at Lensing Funeral & Cremation Service, 605 Kirkwood Ave., Iowa City. IA. 52240. In lieu of flowers, memorials may be directed to the Alzheimer’s Association. Barb was born July 3, 1936 in Iowa City, the daughter of Leonard and Edith Peer Curtis. On July 16, 1983 Barb married Ronald Ostling in Iowa City. Barb had been employed at Northwest Junior High when she lived in Iowa City. She is survived by her husband, Ron; her children, Tim Skay (Sherri), Jayme Skay (Kami), Mary Forbes (Scott),and her grandchildren, Courtney, John, Kiley, Mackenzie, James, Kaici, Isabella, Stephanie, Jacob and Lexi; Ron’s children, Keith Ostling and Mark Signs and grandchildren, Jessica and Garrett; seven great grandchildren. ; and her half-sister, Mary Wagner. Barb was preceded in death by her parents and her sons, John, Todd and Curtis. To send flowers or a remembrance gift to the family of Barbara Skay Ostling, please visit our Tribute Store. "Email Address" would like to share the life celebration of Barbara Skay Ostling. Click on the "link" to go to share a favorite memory or leave a condolence message for the family.